All roads lead to All Saints' Chapel at Christ Apostolic Church General Secretariat in Basorun Ibadan today Thursday September 13, 2018 for the Remembrance and Thanksgiving Service of former and late President of the mission, Pastor E.H.L. Olusheye. The service will start by 11am according to the family of the late icon. 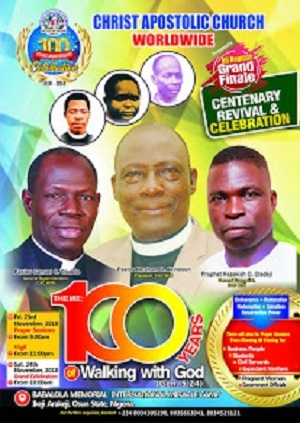 CAC NEWS also gathered that the wife of the late spiritual giant will be marking her birthday today. Pastor Olusheye slept in the Lord on Tuesday 29th of August 2017 after brief illness. He was laid to rest on Friday December 1st, 2018 at Joseph Ayo Babalola University (JABU), Ikeji-Arakeji, Osun state. 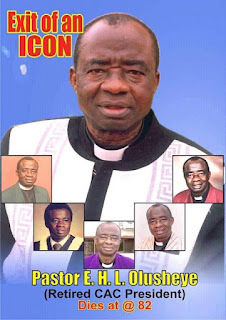 The late Pastor Elijah Howard Lajuwon Olusheye became President of CAC Worldwide in 1997 after his elevation from the office of General Superintendent. After bringing so many unprecedented turnarounds to the church, he retired from active service on Saturday December 31, 2011. 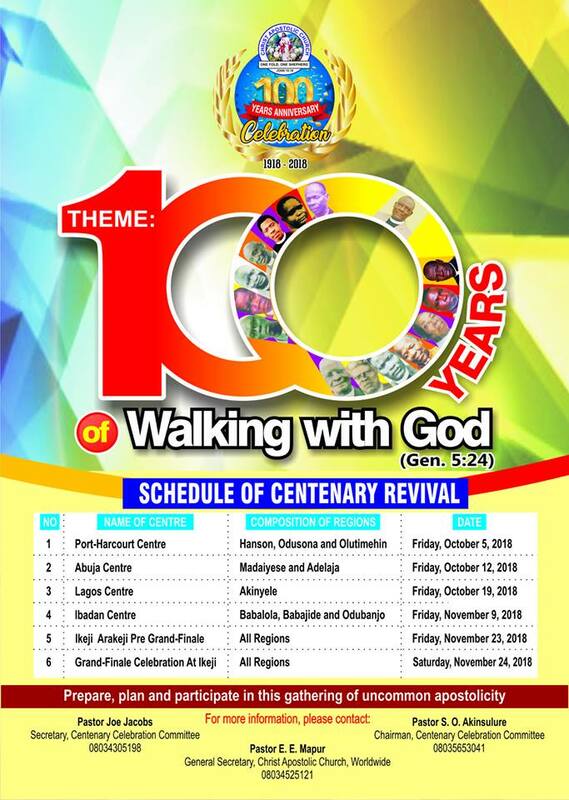 He was succeeded by the incumbent and dynamic President of the mission, Pastor Abraham O. Akinosun. Pastor Oluseye was not laid to rest on 1st December, 2018; today is still the 13th September (slip of the pen, I guess ��). You may want to edit that part of the piece, to put the records straight. God bless!